I believe in building a better world through action, purpose, and intent. I believe simplicity trumps complexity and is a powerful creative agent. If I'm not on the edge, on the fertile verge, then I'm doing something wrong. I'm a purveyor of simplicity, clarity, and focus. 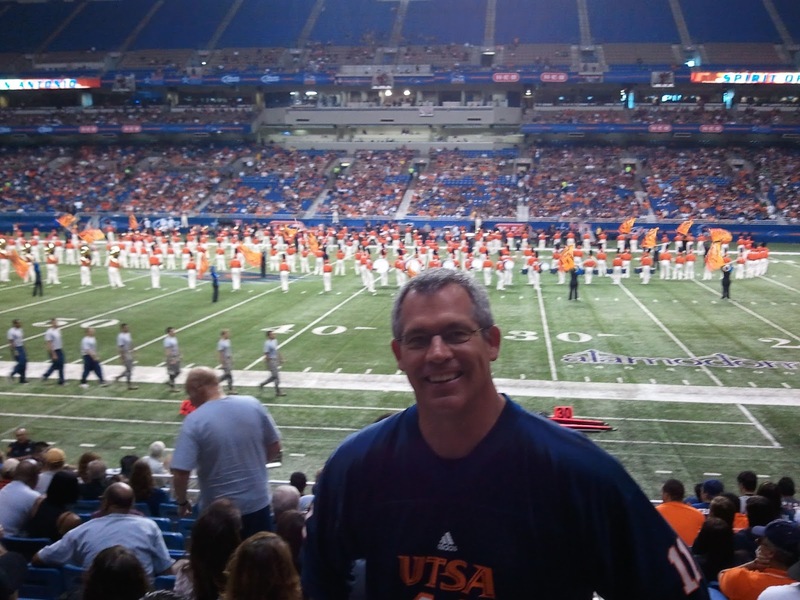 Me during UTSA's first season in 2011 - in my element. 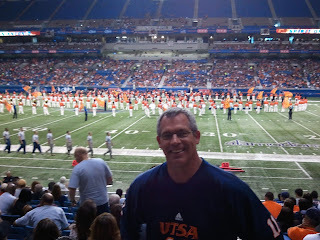 I did not attend, nor did I graduate from, the University of Texas at San Antonio (UTSA), so why am I a Roadrunner? First off, out of all the cities in the United States, I chose San Antonio. I have been drawn here since I first visited in 1988 and I finally moved here in 2010. Secondly, my daughter will graduate from UTSA this year with a degree in Biology. 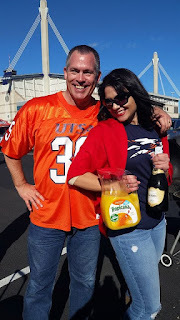 Third, and most powerful, I have been part of UTSA's football program (as a fan) from the beginning; UTSA didn't field a team until the 2011 season and I was one of the first season ticket holders (600ish out of 13,000). There is something special about being a part of something from the very beginning, there's a kinship between fans and between the football program and the fans. The (now old) number 11 jersey that you see in the photo accompanying this post may seem like just another jersey; however, fans who have been there from the start know the significance of that jersey. I'm proud of where this program has been and where it's going. I have had the pleasure to speak with Lynn Hickey, the Director of Athletics at UTSA, on several occasions and I couldn't be any prouder of the job she has done and continuing to do. The recent hire of Frank Wilson to replace Larry Coker was in her words, a "coup" for the program. I look forward to the Frank Wilson era at UTSA. I also respect UTSA as a top tier educational institution and I hope to have some sort of professional affiliation with the university when I finish my PhD this year. The UTSA graduates that I've seen in the workplace have consistently impressed me. Last, but not least, I met my wife Jessica tailgating at UTSA games and she'll be the first to tell you that the Alamodome is my favorite place to be (as long as she is by my side). Me and my beautiful wife Jessica. 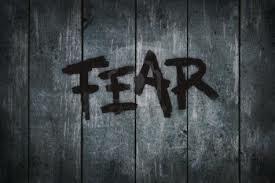 Though we'd like to think that we don't, most of us live, to varying degrees, out of fear. We fear what people will think about us, we fear that something bad will happen, we fear that if we don't conform we'll be left behind, and so on. This is not how to live a meaningful life and it certainly doesn't help you fulfill your purpose. Fear has its place, we have a natural fight or flight survival instinct, but in most things, we tend to choose flight rather than fight. We don't like confrontation, we tend to conform, and we would rather deal with what's known versus the unknown. How do we break out of that, how do we confront and defeat the fear? First, and most important, your mind generally over blows your fears; most fears are either not warranted or they're nowhere near the severity that you ascribe to them. Second, your best weapon against fear is action (and this also applies to worry, which is a form of fear). Taking action against a fear is powerful and is the best way to address and remove the fear. Inaction, which is a very common response to fear, only feeds your fear. Third, you will never be able to remove problems and stressors from your life, it's part of the human condition. So, accept reality for what it is rather than what you want it to be. You can conquer fear by constantly challenging yourself and others. Challenge the status quo, challenge what doesn't make sense, and challenge assumptions. Your fears need not restrain your life and your decisions - take action, take chances, and take control. I'm hunkering down to get my dissertation finished by the end of the year. In doing so, I'm also re-branding all of my efforts to a new personal moniker that is more appropriate to my future pursuits - Outlaw PhD. The new brand denotes my propensity to not participate in group think, to be a 90 degree thinker (in a different direction, but not necessarily the opposite direction), and toward my dislike of the status quo. I will be using this brand for all platforms including my lecture series, multimedia interviews, radio shows, book series, and the like. 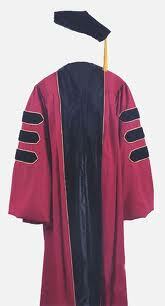 It really doesn't apply until I've defended my dissertation, but I am ABD, so I'm comfortable in using the moniker. With the exception of family and friends, I am not loyal to people or to organizations; however, certain brands have gained my trust (but not loyalty, they're two different things). I like taking stock of my self every now and then, so I've listed some brands that I like right now and some "anti" brands (brands that I don't like right now). I say right now because it may change, I may find better alternatives, or these brands may lose my trust...it ebbs and flows. Try this exercise, it helps to explain who you are at this moment. As a father of a 19 year old young woman, I'm sensitive to messages aimed at her and how the world is attempting to stifle her through fear, conformity, and gender stereotype. Below are links to two commercials that my daughter immediately saw as good and bad messages for women...and I wholeheartedly agree. The first is a TrueCar commercial and the second is a Chevy Silverado commercial. These are studies in contrast between the wrong message (TrueCar) and the right message (Chevy Silverado). What do you think? We're in the midst of moving in to our new home and, like most people, we promise ourselves that we will get rid of the clutter. Easier said than done. We tend to collect things over a lifetime that begin to weigh us down and make our lives more complex - clutter requires maintenance. Moving provides a unique juxtaposition of perspectives - on one hand we realize that we can live just fine with a few basic necessities, but on the other hand we see the enormity of our tendency to collect "stuff." Eliminating clutter and living simply enables a certain clarity and focus on life that we tend to lose in the noise of the every day. It's also an apt metaphor for the rest of our lives - personally, professionally, and spiritually. You've probably seen this Chevy Silverado commercial before; however, I see it as a perfect metaphor of how to define yourself...and it's not by how you make a living. When asked, "So, what do you do? ", the actor can't really say, but the montage indicates that he and his family actually live life and work is just a small part of it. Actually, there are 16 total scenes and only two are work related - that's about right. I can't think of anything so sad as a person defining his or her self as their job yet, more than 9 times out of 10, that's exactly what people do. It's not to say that someone can't make a living doing what they're passionate about, but is that really what life is all about? The pediatric surgeon or the cancer researcher are doing important work, there is no doubt about that, but that's not the sum total of their humanity.  Try to define yourself by the totality of you and if the montage of scenes are blank or full of work, create new scenes. 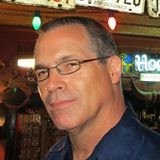 I don't hide behind a computer, gatekeepers, or anonymity - you can contact me by phone, by e-mail, and through LinkedIn and Twitter.